● A durable metal extinguisher head. ● Designed to meet the demanding needs of travel. ● Corrosion resistant metal charge gauge. ● Metal pull pin with safety seal helps prevent accidental discharge. ● Secure mount for in-vehicle placement. 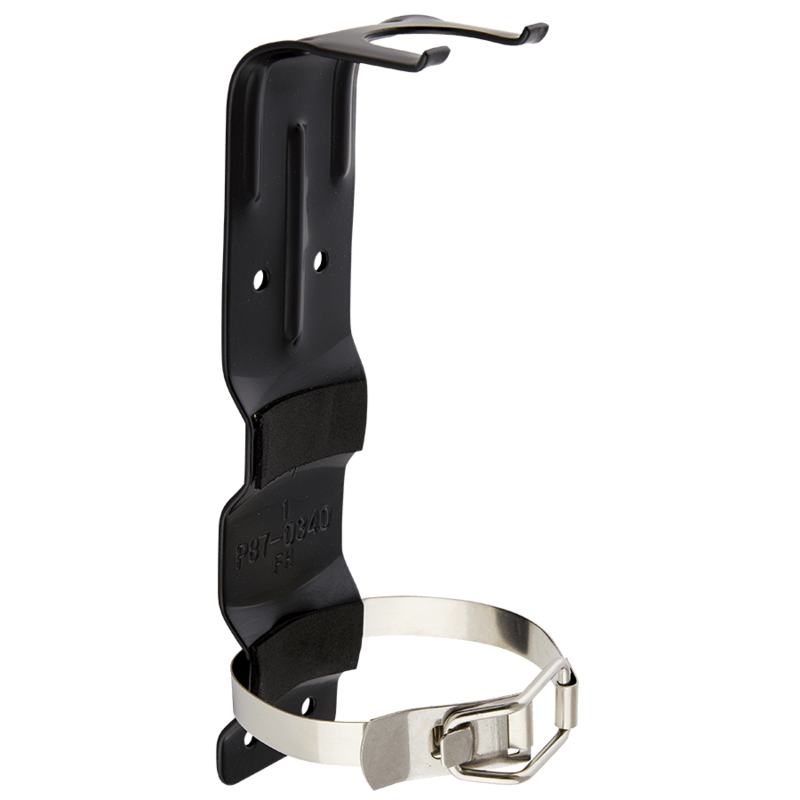 ● Bracket and strap are included for secure placement of extinguisher. ● Chemical resistant & water proof label with 4-step instructions won’t deteriorate. The First Alert Rechargeable Recreation Fire Extinguisher for recreational vehicles is a class 5-B:C rated fire extinguisher ideal for use in your RV – recreational vehicle. This portable fire extinguisher fights flammable liquid and electrical fires. Durable metal head designed to meet demanding needs. This unit can be recharged by a certified professional when discharged. Includes mounting bracket to keep portable extinguisher secure in your RV. 10-year limited warranty. Meets UL standards. The REC5 extinguisher is ideal for use in any recreational vehicle. It is designed to fight flammable liquid and electrical fires. The Rechargeable Recreation Fire Extinguisher is made of a durable metal head that is designed to meet demanding needs. It also features a metal pull pin, with a safety seal, that deters accidental discharge and discourages tampering. It comes included with a secure mounting bracket and strap for secure placement of the extinguisher. The color coded gauge is easy-to-read, corrosion-resistant, and provides accurate measurement.